This post is sponsored by Foster Farms®. All opinions are 100% my own. 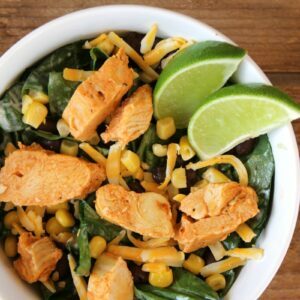 Southwest Chicken Salad with Green Chile Ranch is a quick and easy lunch that’s packed full of flavor. 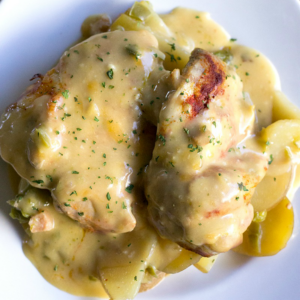 It’s so good, you’ll want it for dinner! I love an easy meal. 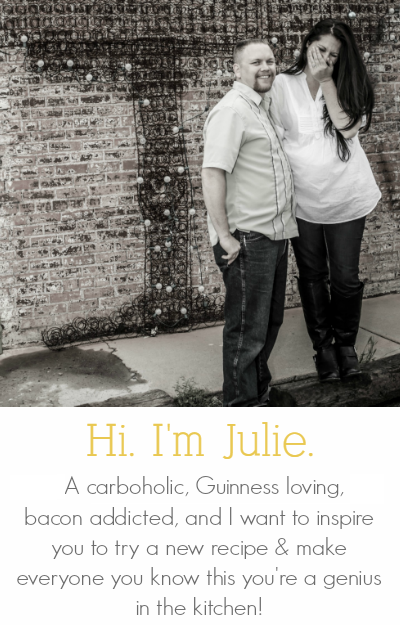 While dinner is usually a no brainer for me, lunch is hard. I never know what I want to eat, or I don’t feel like actually cooking anything. Lunch is usually my first meal of the day, so I want something to fill me up and isn’t just another sandwich. 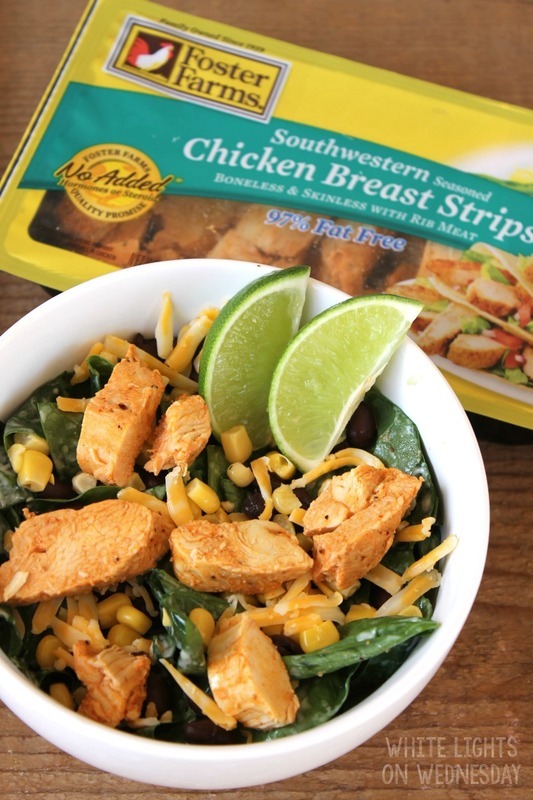 When I spotted the Foster Farms Refrigerated Southwestern Chicken Breast Strips at my local Walmart I got an idea and knew they’d be an easy way to dress up my lunch without a lot of work. This salad is all the things I love, and just happen to keep on hand pretty much all the time. 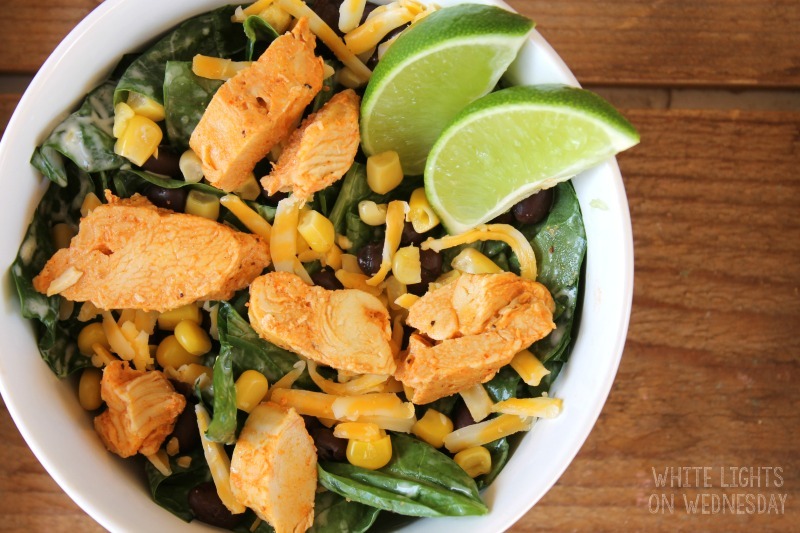 I let the Southwest flavor of the chicken guide my salad ingredients, and I’m so glad I did. 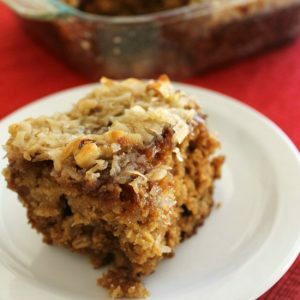 This recipe is totally delicious! Next time I’m throwing in some avocados too, because avocados are always a good idea. My favorite thing about these Foster Farms Refrigerated Southwestern Chicken Breast Strips is that they’re ready to eat! I have an easy source of protein to add to my salad, leftover pasta, or whatever else I’m throwing together for lunch without having to cook and heat up my kitchen on a hot summer day. Foster Farms Refrigerated Chicken Breast Strips are available for purchase at Walmart and select retailers in California, Oregon, Washington, Arizona and Nevada. 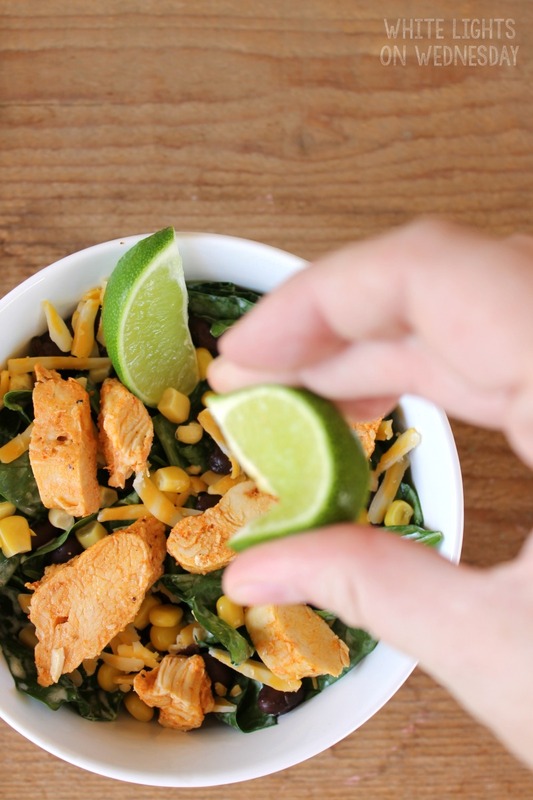 Southwest Chicken Salad with Green Chile Ranch is a quick and easy lunch that's packed full of flavor. 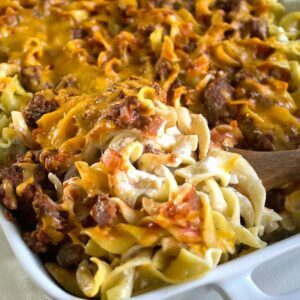 It's so good, you'll want it for dinner! In a medium bowl, whisk together ranch dress and salsa until well combined. If you like your dressing spicier, add more salsa to taste. Roughly chop spinach leaves into bite sized pieces, and place in a large mixing bowl. Spoon dressing over spinach and toss to combine. 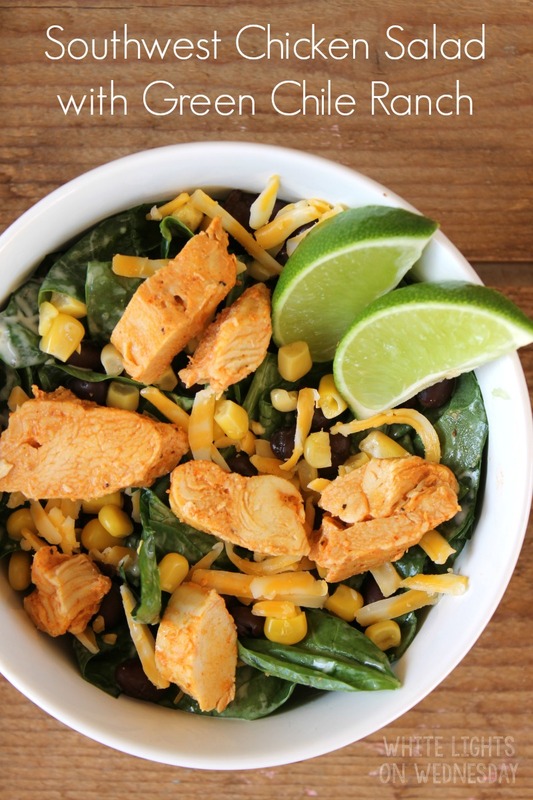 Add corn, black beans, cheese, and Foster Farms Refrigerated Southwestern Chicken Breast Strips (if desired, chop chicken into bite sized pieces). Stir salad again to incorporate all the ingredients together. Divide salad into two portions. Serve each salad with 2 lime wedges. Squeeze limes over salad just before eating. This post is sponsored by Foster Farms®, the opinions are 100% my own.